Hi. My name is Norman Carson and I was born in the city of Melbourne in the continent of Australia. The pic was taken in my Budapest apartment. 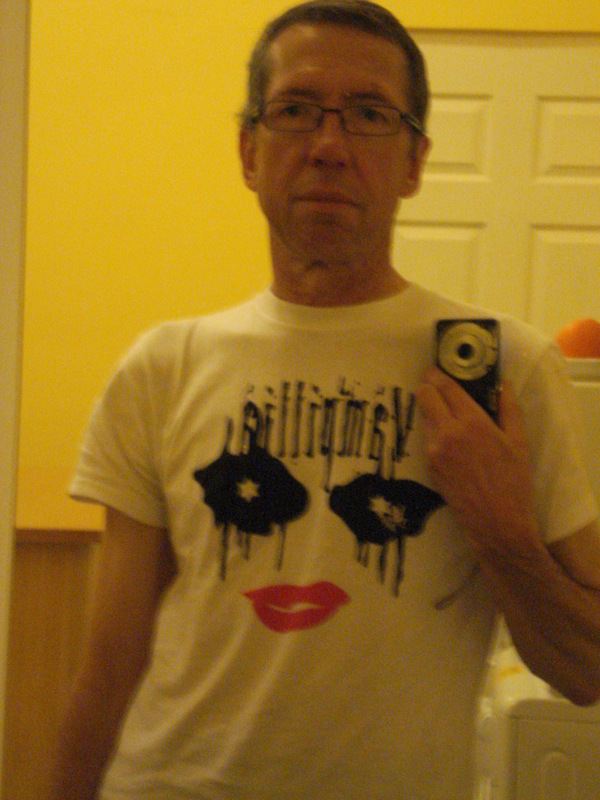 I am wearing my Vampillia T-shirt. Vampillia are an awesome Japanese band. I just turned 60 not long ago. 60 is an interesting number. It is the number of rotational symmetries of the dodecahedron (12 pentagonal faces) and the icosahedron (20 triangular faces), 2 of the 5 perfectly regular (Platonic) solids, the other 3 being the tetrahedron, the cube and the octahedron. Platonic solids are the only ones where all faces, all edges and all vertices are absolutely identical. Sometimes I drift off to sleep at night by imagining I am on one of the faces of a dodecahedron or icosahedron and plotting a course from face to face (say faces that are furthest apart). 60 was also the base number of Babylonian mathematics and is the origin for our 60 minutes in an hour, 60 seconds in a minute etc. Your travelogue/blog is both comprehensive & facinating. I enjoy reading it very much. The amount of effort you put into it is magnificent. Hi Henk. I am happy to answer any questions if I am able. I will email you soon. Cheers.